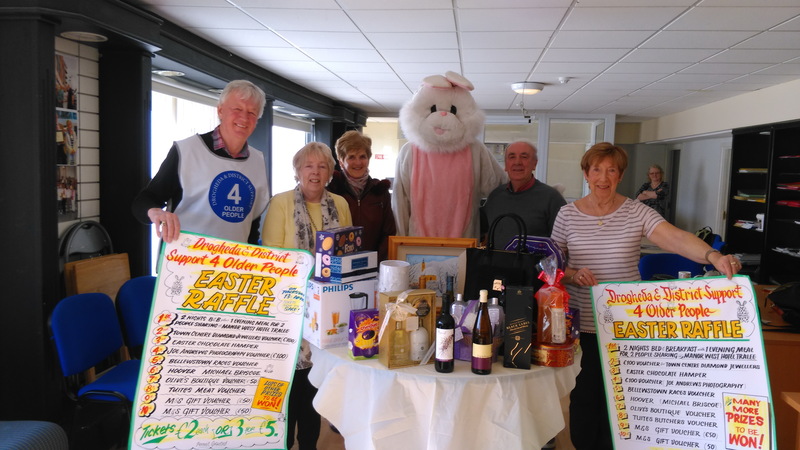 Our Annual Easter Raffle will take place during our Coffee Morning on April 13th 2017. We have lots of great prizes! Tickets are €2, or 3 for €5. Please support our good work by getting your ticket. Thank you! 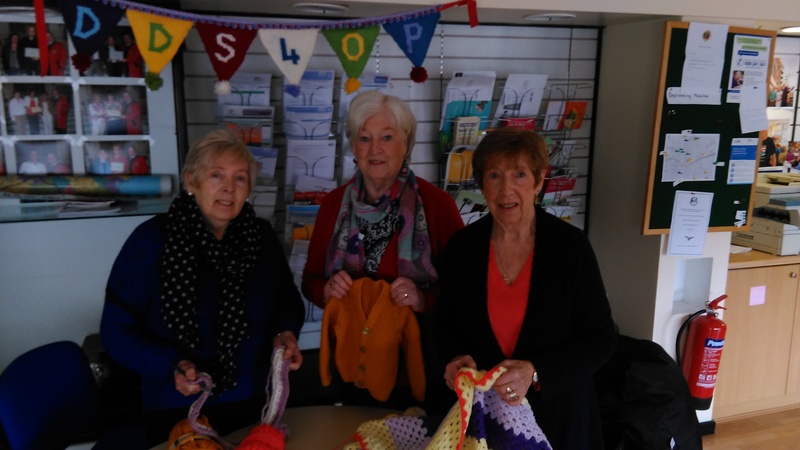 New Crochet classes for beginners and intermediate, starting on Thursday February 2nd, at our offices (Drogheda & District Support 4 Older People, Unit 7 The Haymarket, Drogheda). Time: 2pm to 4pm. Everyone is very welcome so come along and get into the crochet loop. 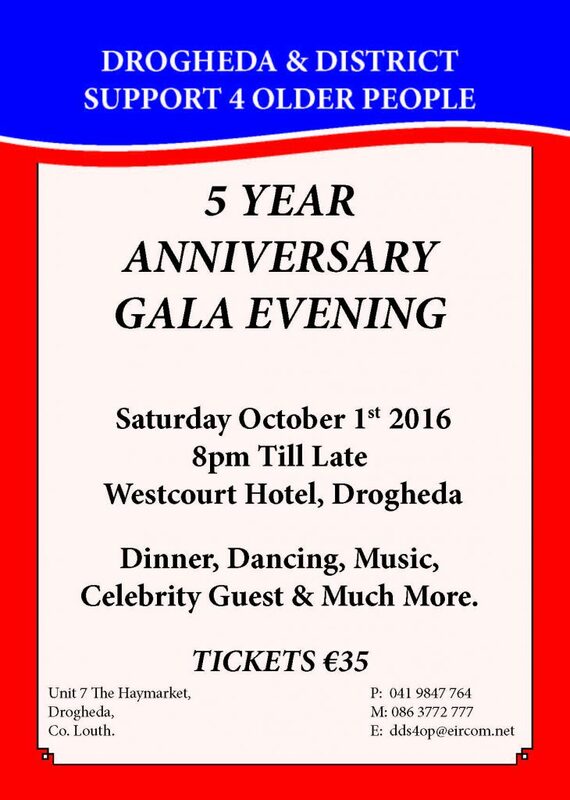 5 Year Anniversary Gala Evening! 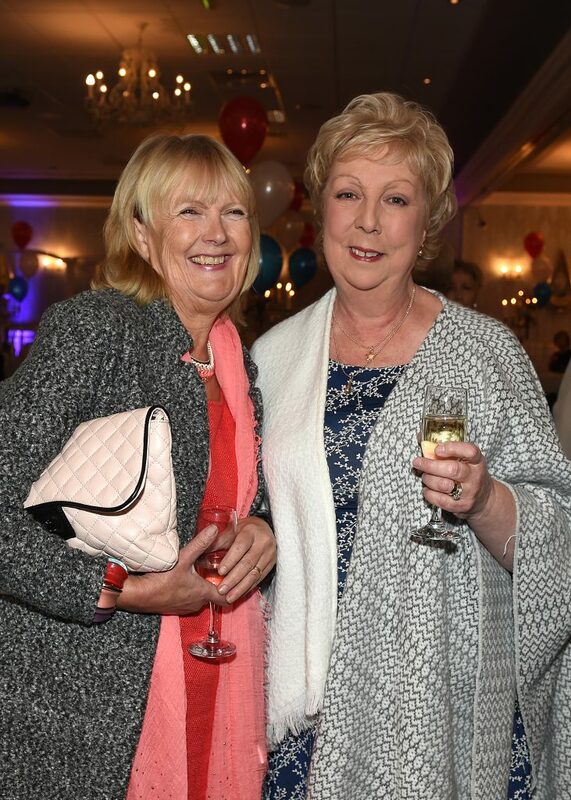 Check out the photos taken at our 5 year anniversary Gala Evening! It was a wonderful event and we would like to thank everyone for their support. 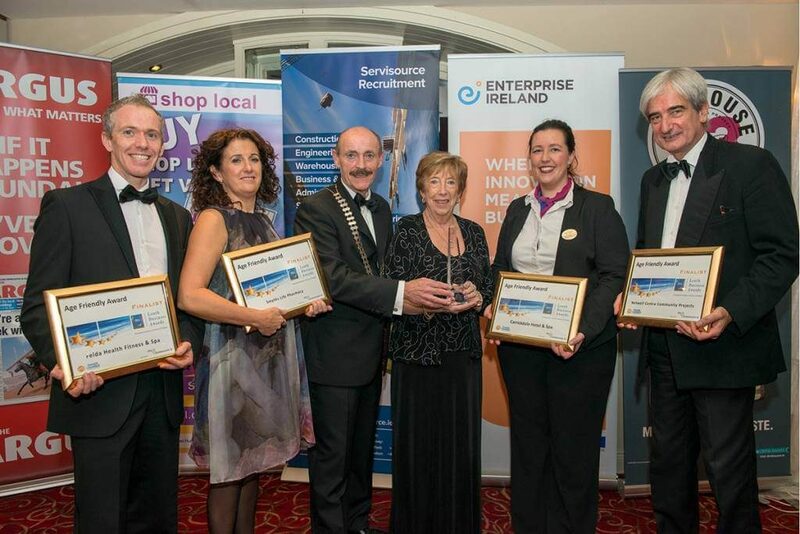 Louth Business Awards – Age Friendly Award 2016! The Louth Business Awards 2016, hosted by Dundalk Chamber of Commerce, took place last Saturday during a black-tie event in the Carrickdale Hotel. We are delighted that we won the Age Friendly Award which was sponsored by Myhomecare.ie. Picture shows Joan McEvoy (DDS4OP) with the award. Great news! 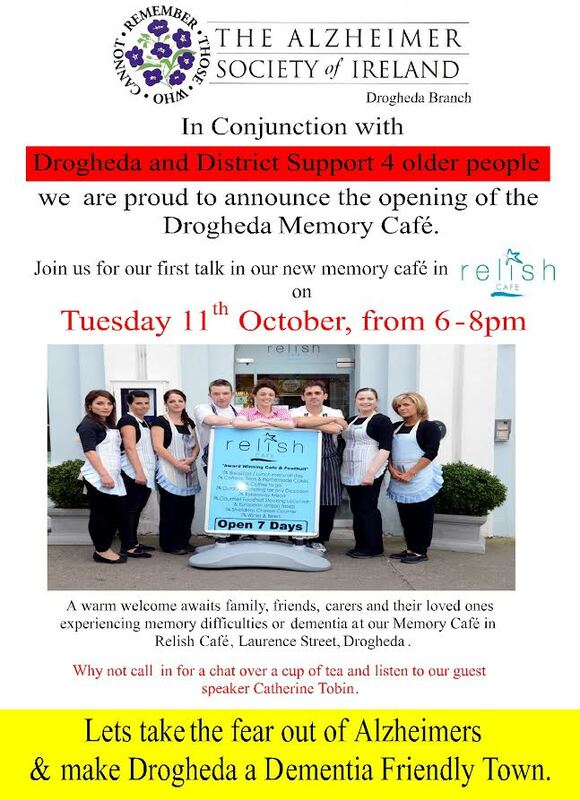 Make Drogheda a dementia friendly town. 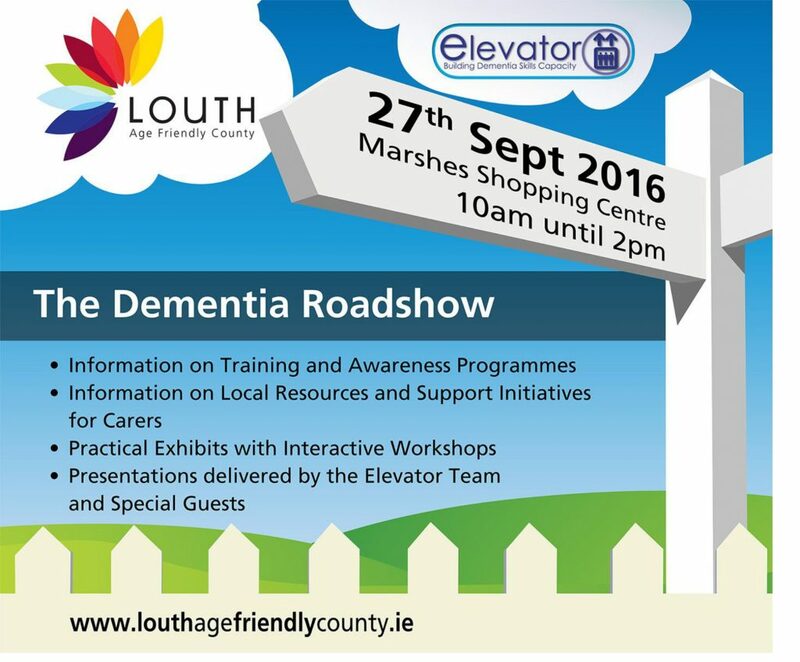 The Age Friendly Programme is hosting the Dementia Elevator Roadshow in the Marshes next Tuesday 27th September between 10.00am and 2.00pm. 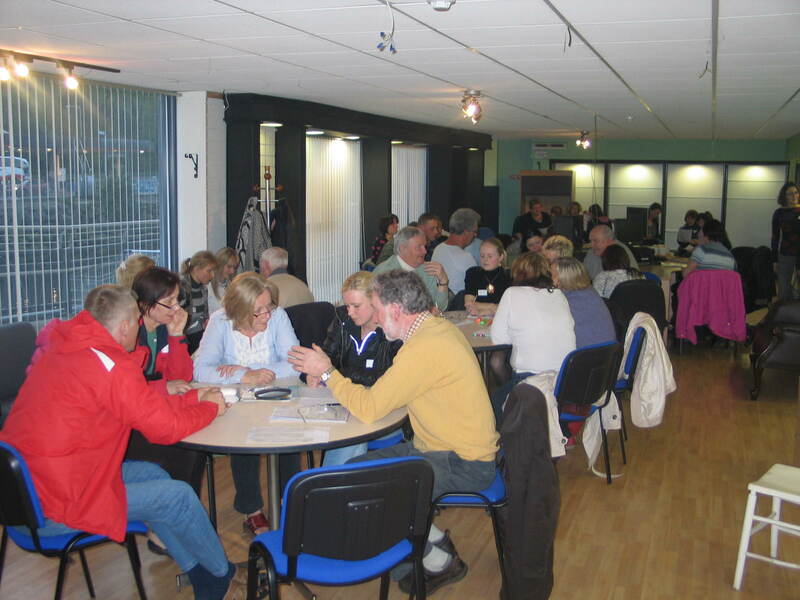 The objective of the event is to raise everyone’s knowledge of dementia up one notch. On the day local and national experts in Dementia will provide details of local supports and national free online training. Every day eleven people over 65 are being diagnosed with Dementia. 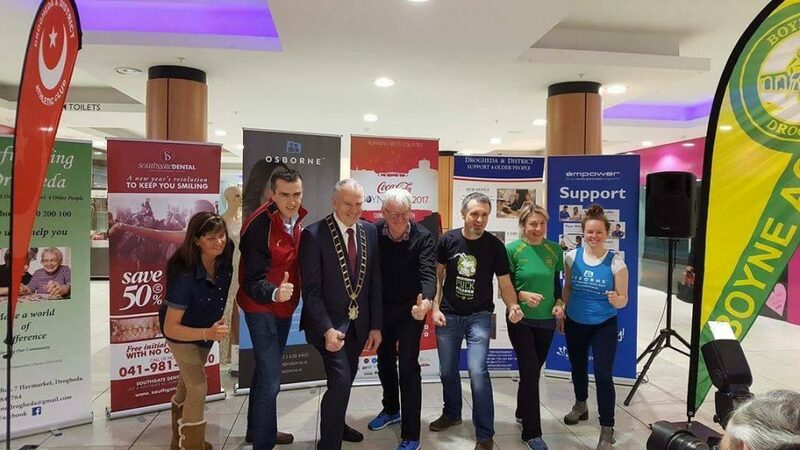 There are already 48,000 people living with Dementia in Ireland. You may know some people in your own family or community. 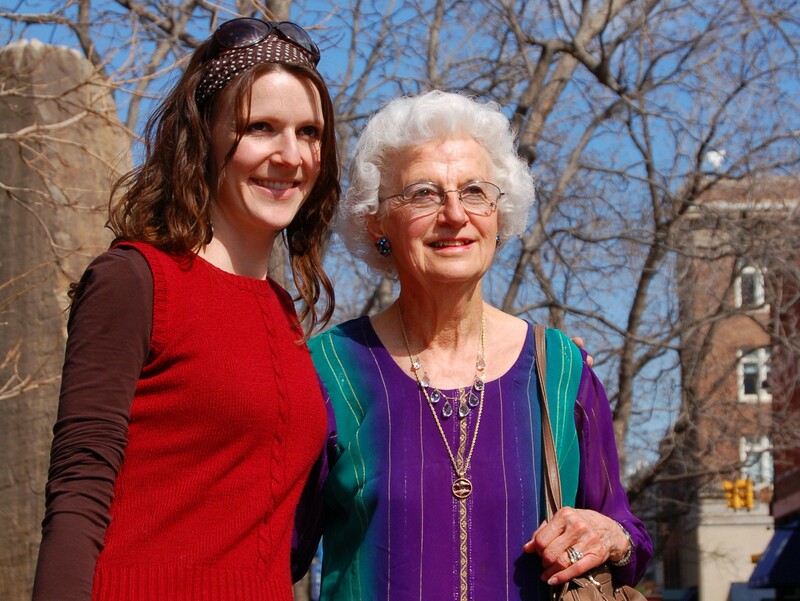 In general, there is no advice provided to family when a diagnosis is made. 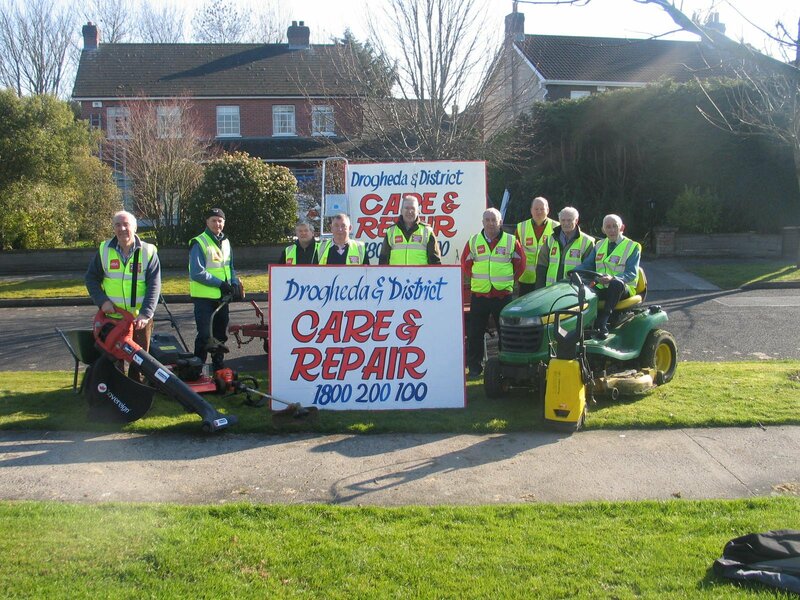 Can you believe we’ve been providing our services to Drogheda and the surrounding area for five years? 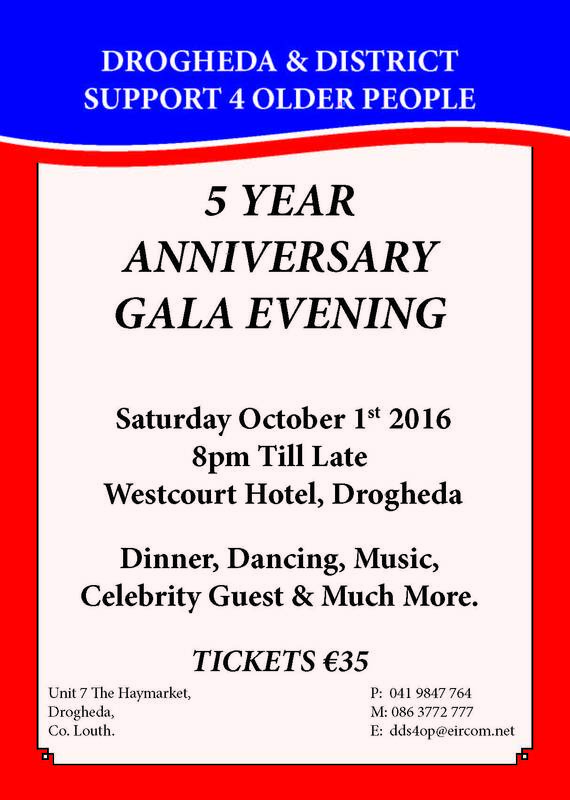 We are delighted to let you know that we are holding a Gala Evening to celebrate this milestone. Why not come along to this fun event? We appreciate all the support you have given us during the last five years and hope we can continue to count on this. 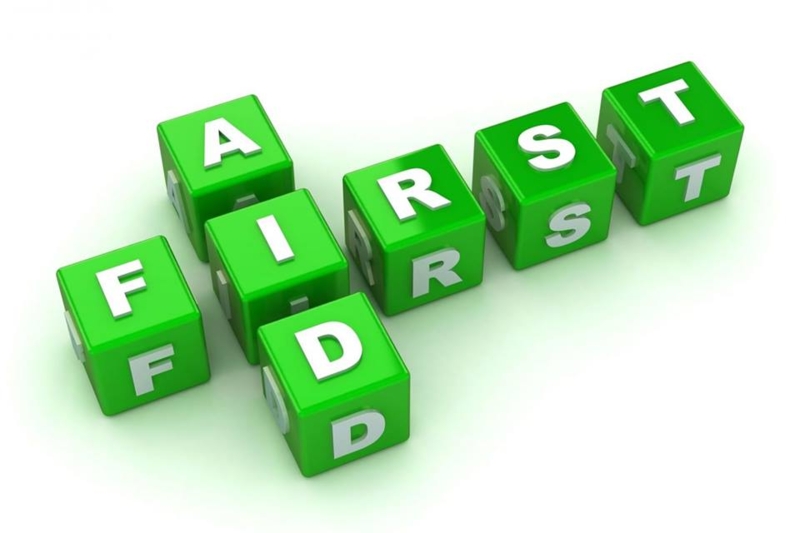 We are delighted with the response to our First Aid Training day for Befriending Volunteers. It has filled up very quickly. It is great to see how enthusiastic and interested these volunteers are in being the best “Befrienders” they can be. It looks like it will be a great learning day and an opportunity for getting to know each other better too. More training days will follow for our volunteers. You can join our great Befriending team by contacting us now. Check out what we do here.